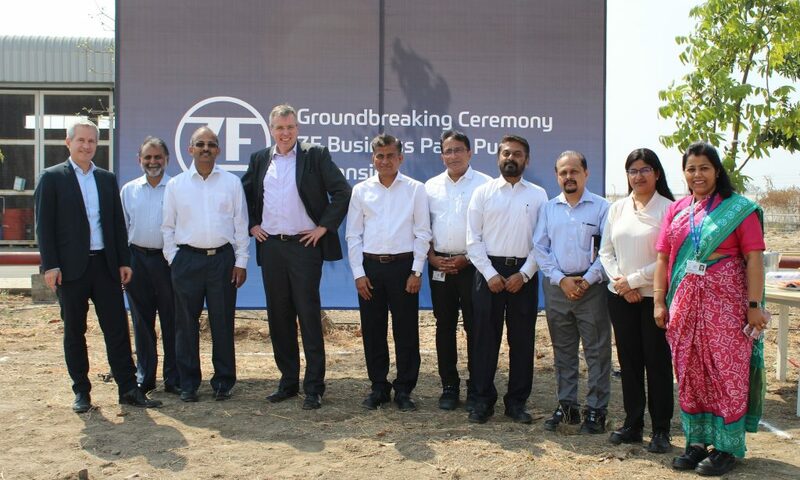 Four years after its inauguration in 2015, business at ZF Group regional headquarter in Chakan, Pune is growing and requires a next extension step. The current facility with its 16,770 sqm built-up space is fully utilized with Commercial Vehicle, Car Powertrain and Aftermarket business. By year-end a new production complex with 4,000 sqm will be completed and offers additional space to accommodate further production and warehousing activities. “This investment is a strong signal for the region and the commitment to grow business in the region,” stated Dr Holger Klein, Member of Board of Management, ZF Friedrichshafen AG, “India is an important growth market for ZF and therefore we are expanding our presence here”. ZF is a global leader in driveline and chassis technology as well as active and passive safety technology. The company has a global workforce of 146,000 with approximately 230 locations in some 40 countries. In 2017, ZF achieved sales of €36.4 billion and as such, is one of the largest automotive suppliers worldwide ZF enables vehicles to see, think and act. The company invests more than six percent of its sales in research and development annually – in particular for the development of efficient and electric drivelines and also in striving for a world without accidents. With its broad portfolio, ZF is advancing mobility and services for passenger cars, commercial vehicles and industrial technology applications.